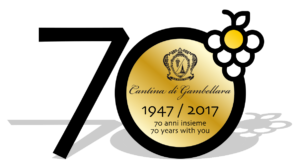 This year marks 70 years since the foundation of Cantina di Gambellara, the first cooperative winery in the province of Vicenza, established in 1947 on the ashes of the previous winery called Enopolio di Gambellara, operational from as far back as 1920. Enopolio means/evolves into Monopoly, a name that emphasises the monopoly of the Gambellara DOC denomination in the area, but it is also the name of the brand new selection which contains little treasures: Garganega, a native vine in all its variations and shades starting from Soave, moving on to Gambellara Classico, until reaching Garganega dried in “picai” from which are produced Recioto and Vin Santo di Gambellara DOC, a denomination that the winery itself helped to draw up since its foundation. Gambellara is a land of basalt, dark rocks and an extinct volcano that have characterised the area and added great aromatic finesse to the wines.